There is no universal definition of UX. Almost everyone has their own idea of what it means and what it encompasses. A lot of the time we talk about UX as an umbrella term for a wide range of tasks and specialist areas. If you take a look at “UX” job postings, you’ll probably be led to believe that the role “UX Designer” is synonymous with “Interaction designer” or just a producer of wireframes. There are some aspects of UX that everyone agrees on. At the very least, the (digital) user experience is everything you come into contact with on your screen and how it makes you feel. In episode 36 of UX Podcast, Per and I turn our attention to the term “UX” and it’s misconceptions. Can it be defined? 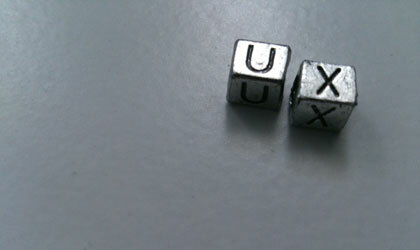 Can you be a “UX-er”? Is the phrase “UX” needed or are we just unnecessarily complicating things? I said during the show that User Experience isn’t, and can’t be, an occupation. It’s a topic rather than a task, but it’s a topic that many of us are passionate about. We really do believe in making great user experiences (and happy companies as a consequence! )… and we all have our toolboxes of tools to help us achieve that. What we can’t get away from is that the user experience is fundamentally technical. You can’t craft a digital service to deliver a fantastic user experience without also scoring high on the technical side. You can have a huge amount of insight into user behaviour. You can have walls filled with effect maps, wireframes and personas. But unless you piece it all together with the right technical glue, you’re going to under-deliver and end up with an expensive and sub-optimal user experience. Page speed/Performance, SEO, back-end, front-end, accessibility, usability, interaction, design, information architecture, content, branding… any of these and more can trip up your well considered UX in an instant. With the diversity (and multitude) of roles involved, plus the complexity of what we are producing, the UX-er – if it’s going to be an occupation – should be a silo-crossing hand holder. A constant hand-holding role that remains present from start to finish (from research to deployment), making sure the pieces are all put together as expected and not just a a box that’s ticked when someone’s signed-off on a bunch of wireframes. James Royal-Lawson+ is a freelance UX-er, hand-holder, and web manager based in Stockholm Sweden.